Dickinson is a city in Stark County, North Dakota, United States. Explore hidden gems such as Oxbow Overlook and Little Missouri National Grassland. Get in touch with nature at Petrified Forest Loop and Heart River Golf Course. 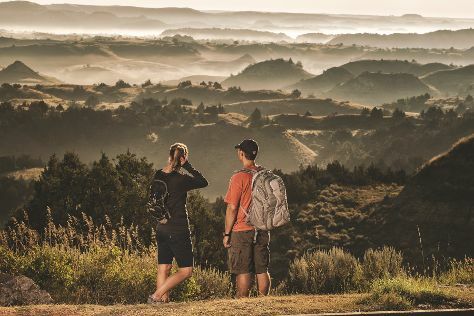 Change things up with these side-trips from Dickinson: South Unit (in Theodore Roosevelt National Park), Assumption Abbey (in Richardton) and Fort Mandan (in Washburn). Next up on the itinerary: contemplate the long history of Custer House and ponder the world of politics at North Dakota State Capitol Building. To see maps, other places to visit, traveler tips, and tourist information, read our Dickinson trip planning app . In November, plan for daily highs up to 41°F, and evening lows to 19°F. Cap off your sightseeing on the 19th (Mon) early enough to travel back home.